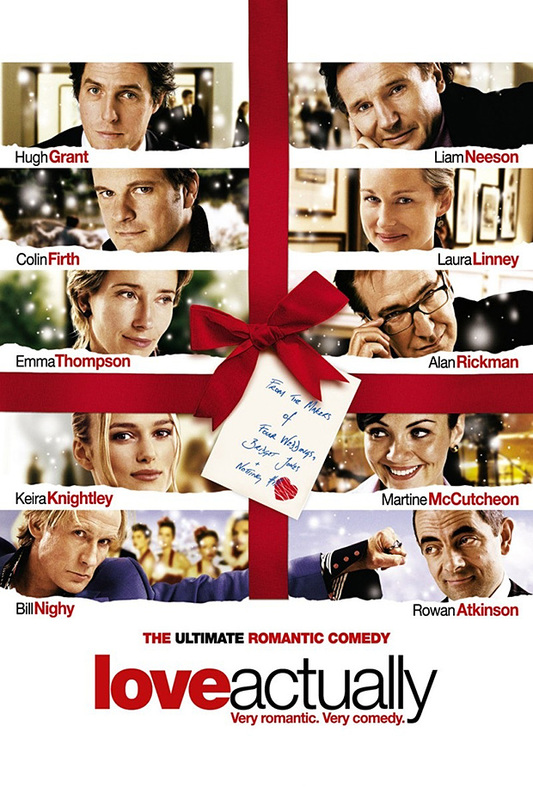 I saw Love Actually last night for the second time. Contrary to what you might assume from my serial attendance, it is not a great movie. It is, in fact, a mess. But it’s a charming, affecting, lovable mess. Kind of like me. Besides, it has Emma Thompson, who has been woefully absent from films for the past few years, and Keira Knightley, who, unfortunately, has nothing to do in this film but sit there looking beautiful…which she does beautifully. Either one would be worth a repeat visit, but with both of them in the same film I’ll probably go a third time. Before I went into the theater I stopped at a little burger stand they have in the lobby to order a Diet Coke with vanilla and, as I was sitting on the stool waiting for my drink, I noticed someone approaching on my left. I turned and saw a girl, 19…maybe 20 years old, saying goodbye to some friends. She was walking backwards as she was finishing her conversation and based on her trajectory I could tell she was going to run into me, so I swiveled to my left and reached out to grab her shoulders to cushion the impact. Just then, she turned and, seeing me out of the corner of her eye, took a step sideways to avoid the collision, but lost her footing and started to fall. Since I was already poised to grab her shoulders, I was able to catch her and ease her down so that she landed right in my lap, the back of her head brushing lightly against my cheek. As I helped her to her feet, she turned around, her face flushed with embarrassment and, as she laughed and apologized and thanked me again and again, she reached out and touched my arm…at which point my brain stopped functioning entirely. It was too much to process all at once. The body in my arms, the soft, dark hair against my cheek, that fragrant winter combination of shampoo and perfume with just a hint of the wool, the beautiful face beaming at me, the touch of her hand… Too much, I tell you! I muttered something along the lines of, “Oh, it was nothing…don’t mention it…not at all…,” but before I could really get my wits about me she was gone. I got my drink, wandered into the theater, and took my seat. But I’m definitely going to have to see the film a third time because I spent the duration of that screening in a total fog. I kept replaying things in my head, trying to figure out what I should have said or done to…to…oh, I don’t know…keep her in my arms, I guess. Keep the body and the hair and the smell and the face and the hand and the touch and the smile and the moment. Because, for just that moment, I remembered what love actually felt like.